On March 22nd, a friendship match of tennis for senior citizens from border cities in both China and Myanmar, hosted by Dehong prefectural office of overseas Chinese affairs, prefectural federation of returned overseas Chinese and prefectural sporting association for senior citizens, was held in Senior Citizens’ Sporting and Recreation Center in Dehong prefecture. 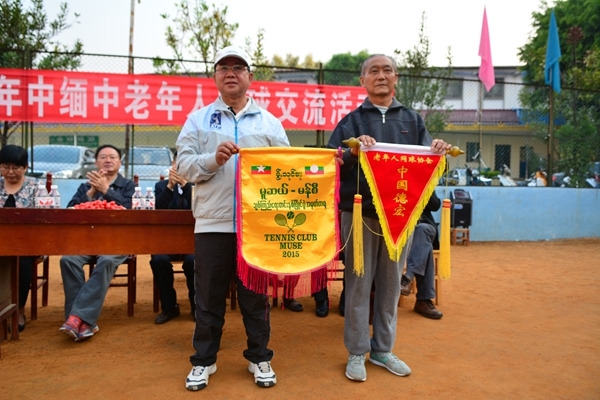 At the opening ceremony, flags of Dehong’s tennis association of senior citizens and Muse’s tennis association as well as gifts were exchanged as token of friendship.Officials addressed at the ceremony.In the spirit of “participation, healthy body, enjoyment and communication are the primary aims of this game”, 41 matches were played and served as a fantastic platform to boost communication and friendly relationship. The former director of Muse’s tennis association Hou Shouchang (as transliterated in Pin Yin )said that their association had been in contact with the tennis association of Dehong prefecture 20 years ago. This friendly match is like a reunion for the two organizations. Mr. Hou think this is a joyful gathering and hopes to see more interactions between tennis lovers from both Muse and Dehong. 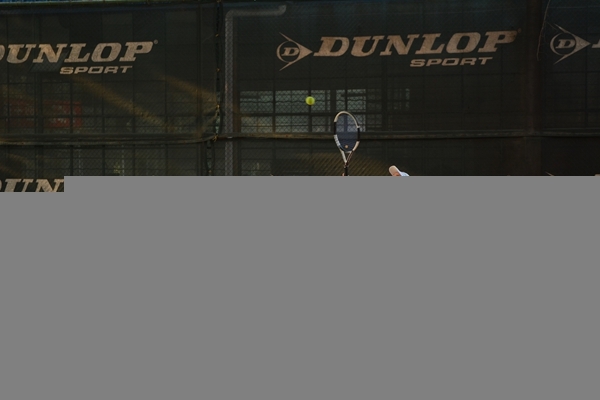 The eldest player in this match is Mr Li Zhanyuan from Dehong tennis association. He is 83 this year and, together with his 82-year-old partner Mr Yang Linguang, amazed all spectators with excellent tennis techniques. These marvellous shots of two “grandpas”won huge applause and were awarded the two the Golden Pair in the match. This event is the first cross-border tennis game for friendly communication and exchange held by prefectural sporting and recreation center for senior citizens after its reform and reorganization in 2008. 28 member of Muse tennis association participating in this event spoke highly of the newly-built sporting and recreation center. This year, the prefectural association of senior citizens have already conducted a series of cross-border events, including the communication program in literature and art in cities of Muse and Kyukoke organized by art troupe of the association.